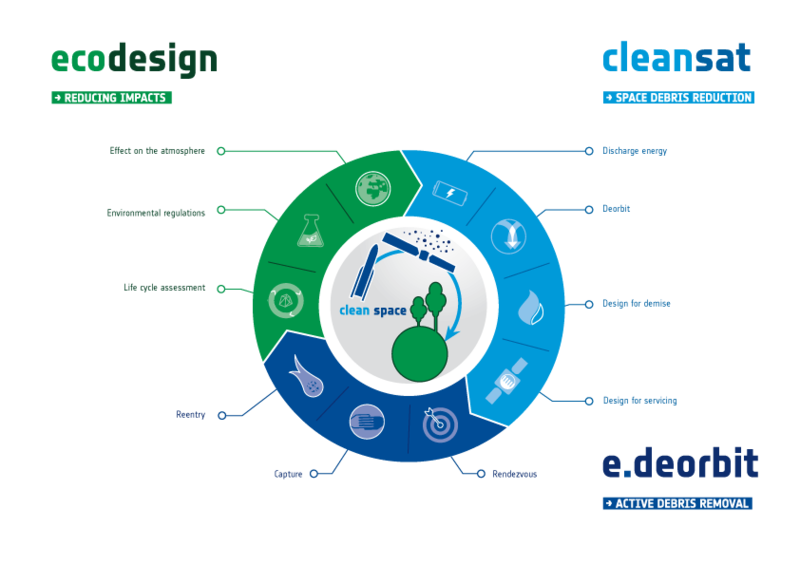 The Clean Space industrial days aim at providing an insight to the technological advancement achieved to date in the fields of ecoDesign for space, technologies for Space Debris Mitigation (SDM), Active Debris Removal (ADR) and Space Servicing Vehicles (SSV). e.Deorbit: removing a large piece of space debris from orbit. 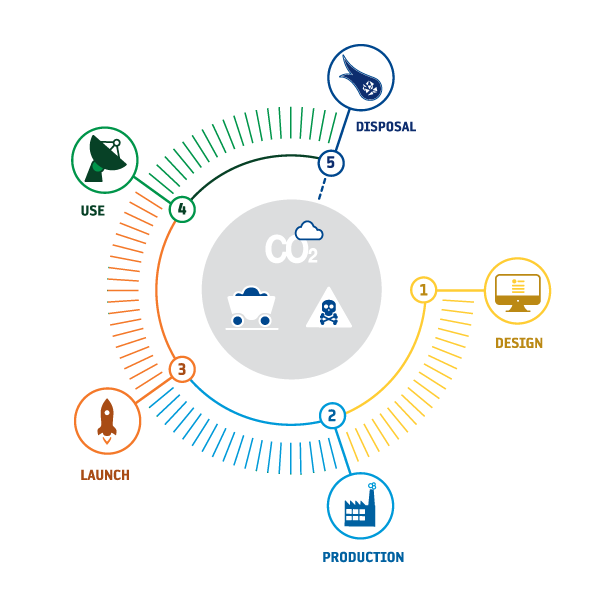 ESA has pioneered EcoDesign for space by performing environmental life-cycle assessments of its launchers and missions. Applying LCA to space activities is a first step towards a cleaner space sector. Based on this work, ESA has developed a space-specific handbook to perform LCA. A great challenge is to use the results of the LCAs to develop cleaner technologies which will be at least as performing than existing technologies. The industrial days will be an opportunity for the European space industry to acquire knowledge on ecoDesign for space missions. 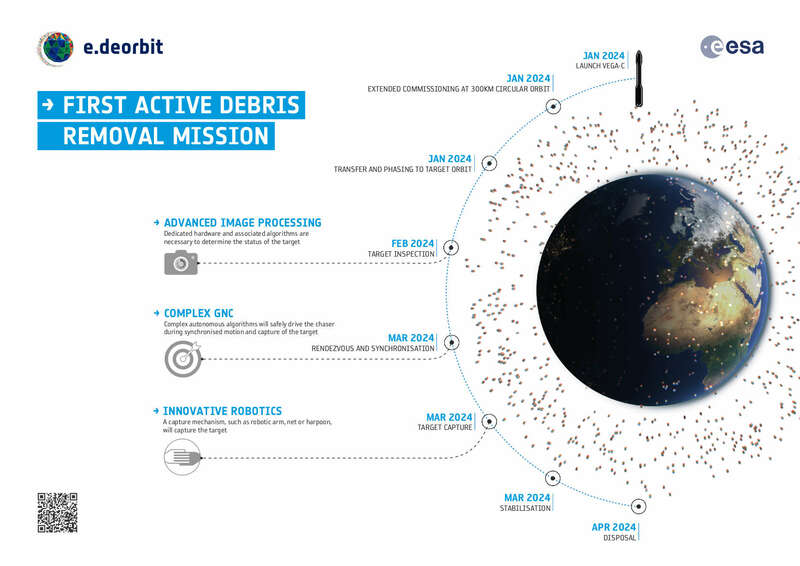 ESA is globally leading the pursuit for Active Debris Removal through its e.Deorbit mission. The objective is to catch a large spacecraft in Low Earth Orbit and to bring it back to Earth in a controlled manner, in order to reduce the risk of growth of space debris. Through this mission, European industry is developing cutting edge technologies for monitoring, rendezvous, capture and deorbiting of space systems. There are clear synergies between the technologies required for the e.Deorbit mission and those needed for the Space Servicing Vechicle missions. Indeed, all of these mission concepts require that the space servicing vehicles perform close proximity operations, including rendezvous and capture. ESA and the European space industry are looking into the technical understanding of these synergies with the objective to pave the way for all future SSV. 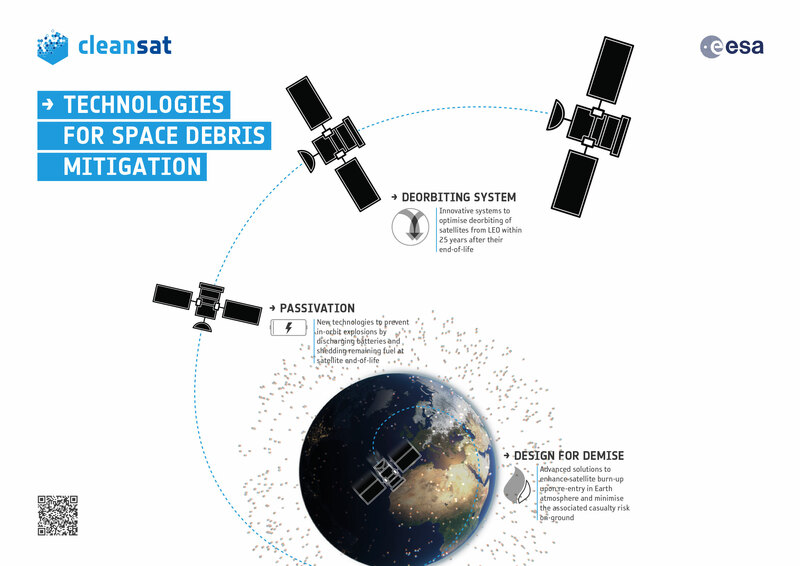 The CleanSat project aims to develop technologies to comply with space debris regulations and avoid the generation of new debris from future missions. It seeks to steer this evolution in a coordinated manner, in direct collaboration with Europe’s leading satellite integrators and their suppliers. By developing technologies that enable future satellites to comply with standards, Europe’s space industry will have an international competitive advantage. By bringing together a variety of stakeholders including the public sector, industry and new potential participants, the Clean Space Industrial Days offer a platform to focus on the development of the required technologies, encouraging all actors to exchange their advancements and difficulties, thus strongly promoting European cooperation.